Purposes: The folding bag hangers feature a unique hidden hook which unfolds from a recessed track, stores compactly in bag or briefcase, hangs bag securely from any flat surface, and keeps your bag clean, safe and close-by in restaurants, offices and restrooms. Objective: Make studio audience feel more involved at a new morning talk show. Promote the show in a fashionable way. Strategy: A big television station was about to begin producing a new morning talk show. They wanted to do something special for the first month of the show being on-air. Everyone in the live audience would receive a custom bag hanger to go along with the experience they were having at the studio. Even people watching at home could see and understand the kind of giving and trendy personalities the show portrayed. Results: The show started off with excellent ratings. It only took a couple months to move into a better timeslot, and the bag hangers were a huge hit. The few thousand handed out were popping up all over New York and surrounding areas, promoting the popularity of the show for years to come. Stores compactly in bag or briefcase. Hangs bag securely from any flat surface. Keep your bag clean, safe and close-by in restaurants, offices and restrooms. Make sure to use a EMT Bag hanger this holiday season. Some ladies need bling! Sparkle and keep your keys in a safe location. 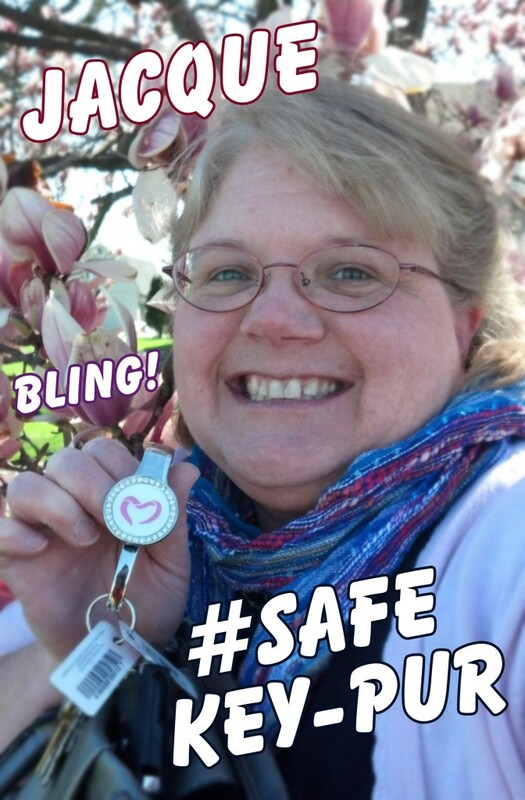 Never have to dig to the bottom of your Purse again with Safe Key Pur with Bling. Email customercare@emteasy.com for a free sample with your shipper #. Ladies, give your bag some love with EMT’s heart shaped bag hanger. Email customercare@emteasy.com for a free sample. Purposes: The Folding bag hanger is an exclusive, patented EMT product that is stylish, functional, and portable. It keeps bags and purses off the floors of restaurants and bathrooms, preventing the chances of picking up any bacteria on the floor. Objective: A non-for-profit organization was looking for the perfect way to promote their cause and still show their appreciation for everyone that came to their breast cancer awareness event last October. Strategy: Since the majority of people attending the event would be women, the company decided an EMT bag hanger would be the perfect giveaway. Everyone was so please with the quality and functionality of the products, they used them for months afterwards. At an affordable price, they still resembled an expensive gift. This was the organizations most successful event, raising over $72,000 for cancer research. They also saw an increased attendance at their next event of 20%! 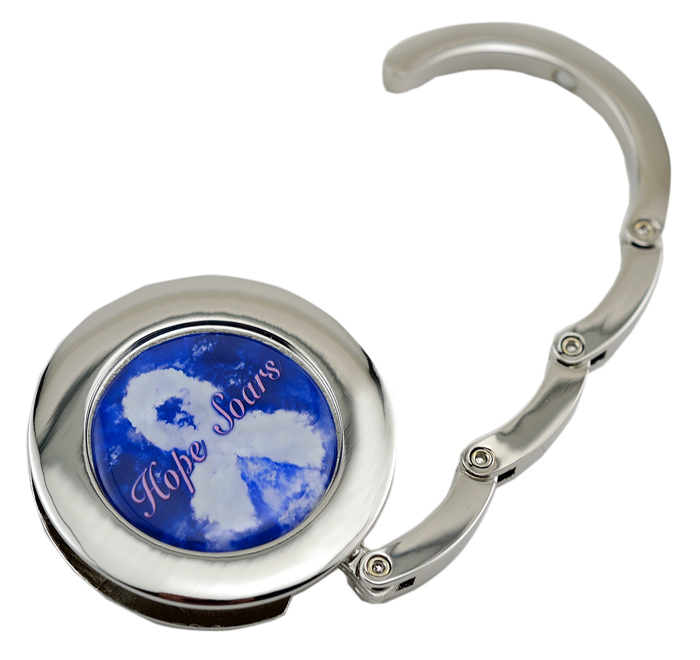 Bag hangers are a unique and practical gift or giveaway item for groups or companies. Keeps belongings close, clean and safe. Purses, briefcases or shopping bags hang clear of the floor in restaurants, offices or restrooms. Mother’s Day is closer than you think! Perfect Idea for Mother’s Day: Prevent Bag-teria™ with EMT Bag Hangers. Email customercare@emteasy.com for a free sample with your shipper #. Nurses Week 2014: Prevent Bagteria™ this year with EMT Bag Hangers.